Alan Totterdell aged 74 years, passed away peacefully on 7th March 2018. Alan Joined the Bristol Fire Brigade in 1962, trained at Reigate, Surrey and was posted to Avonmouth, transferred to Bridewell three years later. Bridewell closed in 1973, and he drove the last pump out before transferring to the new station at Temple Back. Alan was also proud that he served on the Pyronaut fire boat that served Bristol City Docks. He was promoted to Leading Fireman at Southmead, and then to Sub. Officer there before transferring to Temple where he served until 1985. Alan first became an Official of the Fire Brigades Union in 1964. This put him on the front line of the strike between November 1977 and January 1978, with his best friend and Regional Treasure, Bill Lewis. 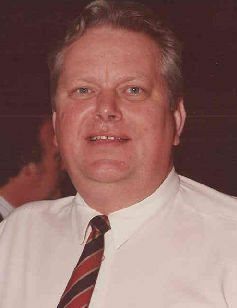 Alan was elected National Officer in 1985, when the whole family moved to Claygate, in Surrey. He became the Union’s Educational and Political Officer and ran various Annual Conferences. During his service with the Union, he managed relations with the Scandinavian firefighters. He also travelled to South Africa t train ANC members before their election to Government and met Nelson Mandela on several occasions. Alan leaves his wife Carol and two sons Ian and Neil.